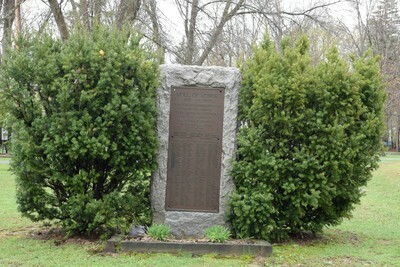 "Fairfield, Maine: World War I Roll of Honor"
This monument is located in the Fairfield Veterans Memorial Park on 62 High Street in Fairfield, Maine. Granite monument with bronze plaque. "Fairfield, Maine: World War I Roll of Honor" (2016). Somerset. 1.